Ford has a one-of-a-kind Business Preferred Network program that is perfectly suited for any small business operator, entrepreneur or small commercial company whose owners value their time. 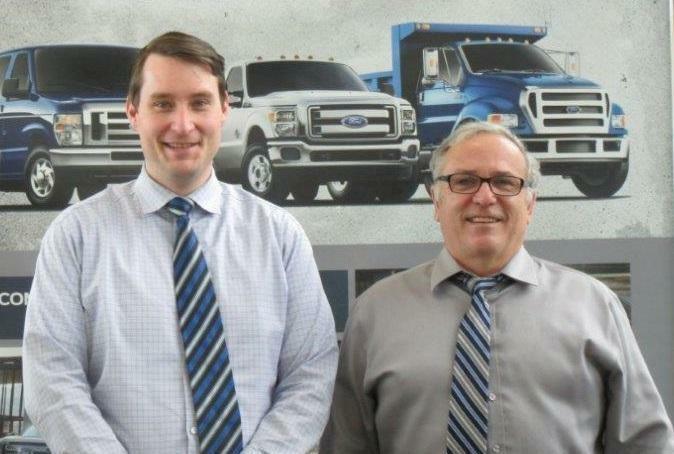 We are part of a high-performing group of fewer than 85 dealers in Canada, specifically selected for our commitment to supporting small businesses when it comes to their transportation needs. Whether you have one car, two SUV’s or four small vans, a small catering company or a seasonal landscaping business, we have the resources and the people who are dedicated to helping your business grow with the right vehicles working hard for you. Provide a single point of contact specialist who will spec it, order it, prep it, outfit it and delivery it. The Perfect Vehicle For Your Needs Without Any Hassle! From genuine Ford accessories to customized shelving/racks and full commercial service bodies, we know the right parts, suppliers and installers to make your vehicle work efficiently for you. Shelving units, dividers, and customized rear seat storage systems can make your vehicle an extension of your work space. We can also capitalize many of these accessories right into your lease or purchase, saving you out-of-pocket expenses and making it convenient and affordable to customize the vehicle. Whether from Ford or a Ford-approved supplier/builder, all accessories are fully warrantied to give you a comfortable, stress-free ownership experience. We have 20 factory-trained technicians who are ready to address any warranty repairs or breakdowns with a minimum of fuss and time. Your business runs 30 days a month; why shouldn't your vehicle? Our team will ensure that your vehicle is serviced regularly and properly. Combined with exceptional warranty coverage, this means a reliable vehicle that works as hard for your business as you do. We have service loaners and subsidized rentals available 24/7 in the unlikely event of a vehicle breakdown, keeping you on the road and doing business without interruption. We know how important your vehicles are to you – we run vehicles for our business too. We know you have choices for your transportation needs, which is why we work so hard at earning your business… and keeping it. Our goal is simple: to provide the highest possible level of service to your small business/company – from purchase/lease to trade-in – based on saving you time and making it easier for you to conduct your business.